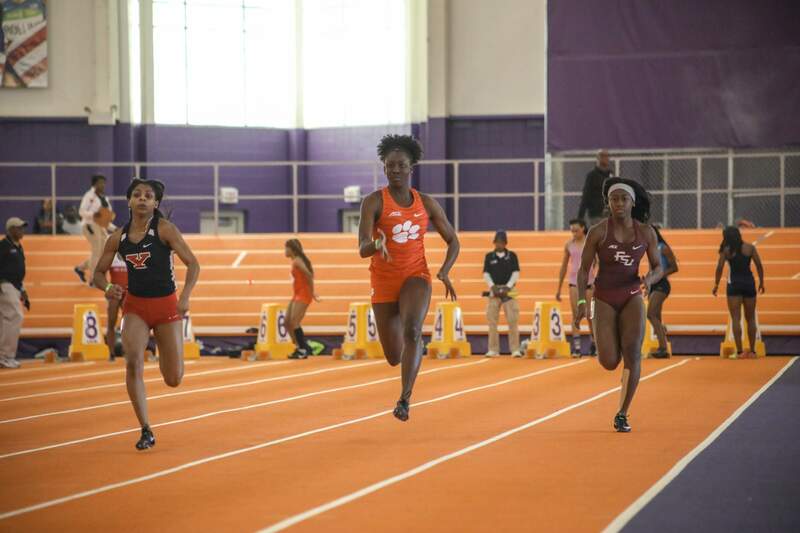 CLEMSON, S.C. – The Clemson track & field team competed for the first time in 34 days on Friday at the Tigers’ second meet of the 2018-19 season, the Orange & Purple Elite. 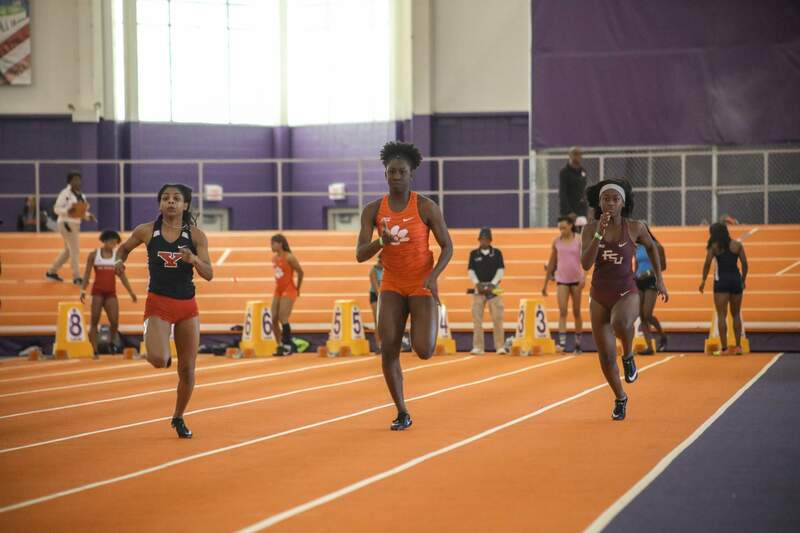 Clemson head coach Mark Elliott was particularly impressed with several performances from a handful of newcomers across a variety of events. 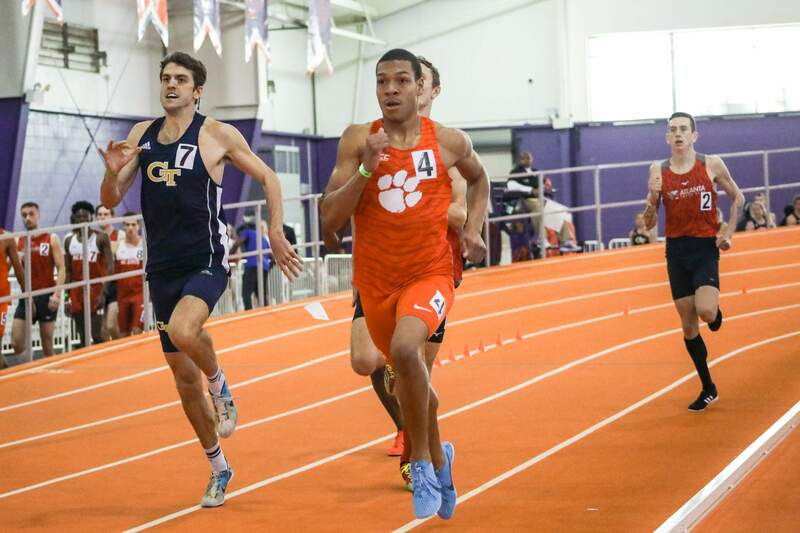 Sophomore transfer Fabian Hewitt set Clemson’s No. 4 in the 300m with a time of 33.78 seconds. 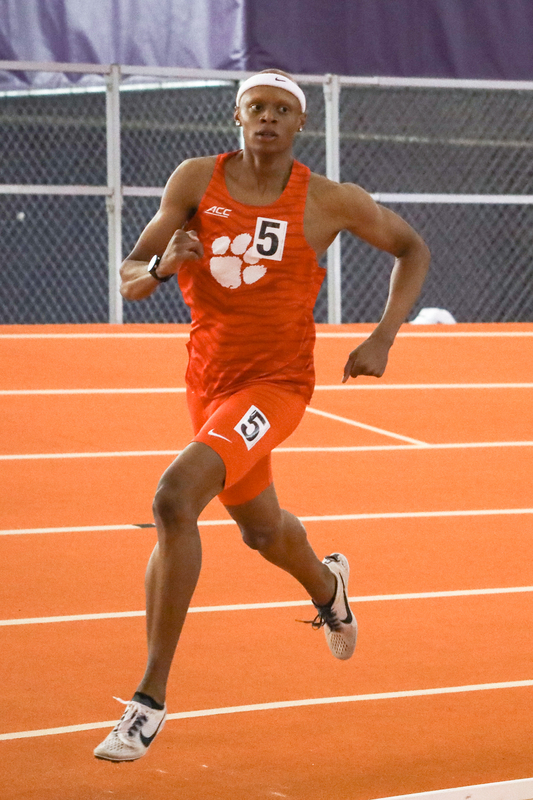 Hewitt shattered his previous best and team-leading time of 34.30, which he set in the Tigers’ opening meet on Dec. 8, 2018, despite also competing in the 60m dash earlier in the day. 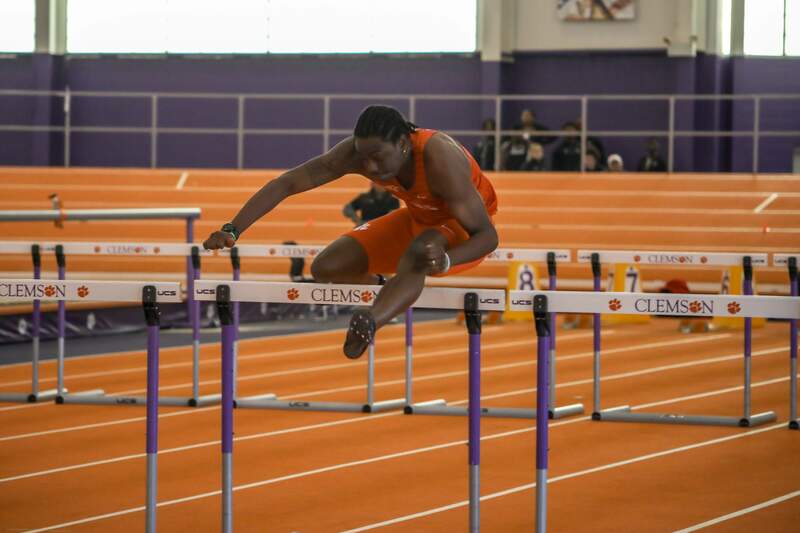 In the 60m hurdles, LaFranz Campbell went toe-to-toe with the reigning ACC champion and ACC Freshman of the Year, Florida State’s Trey Cunningham. 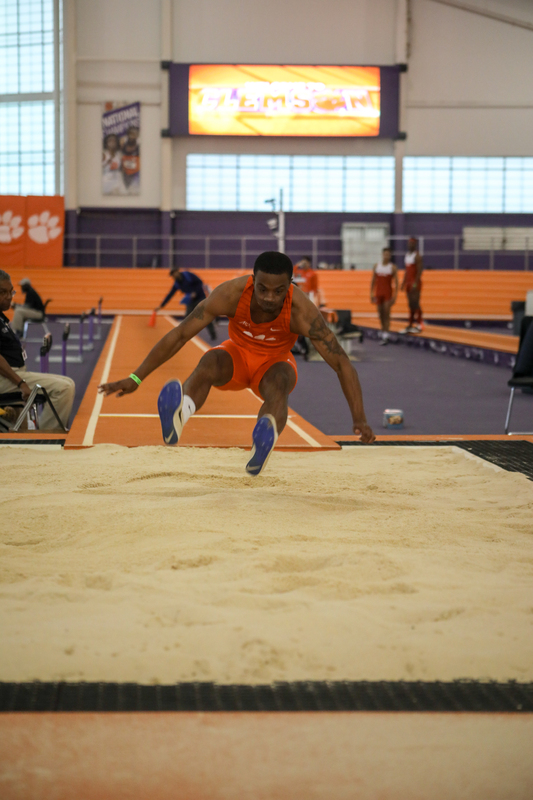 Campbell (7.85), a sophomore transfer from Wiley College finished just 0.03 seconds behind Cunningham to place third in Friday’s finals in his first-ever Division I meet. 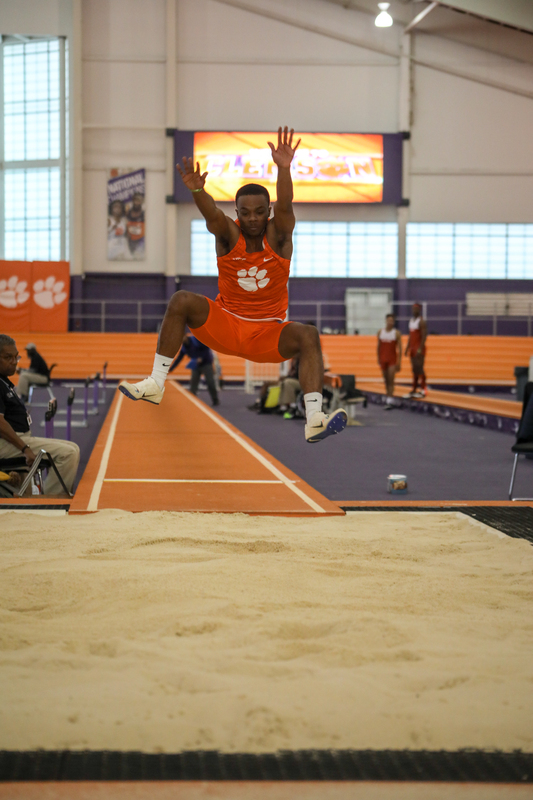 In addition to the newcomers, Clemson saw solid performances from a few returners as well, including senior John Lewis and junior Joe Cline. Lewis just barely missed his own program and facility record in the 1000m, which he set last season. Lewis crossed the finish line at the 2:22.63 mark to place second overall. In the cage, Cline claimed his second PR of the 2018-19 season with a heave 17.99m (59-0) to secure his second weight throw win of the season. 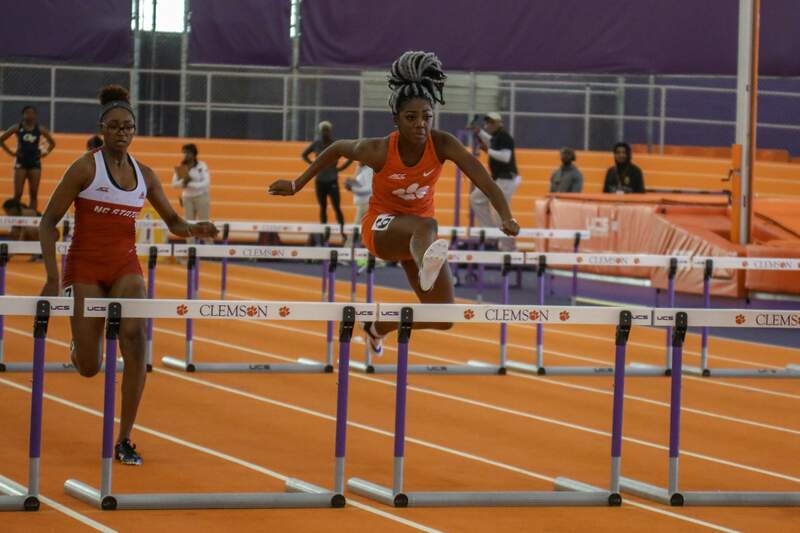 On the women’s side, freshman Kenya Livingston won her first collegiate high jump event. 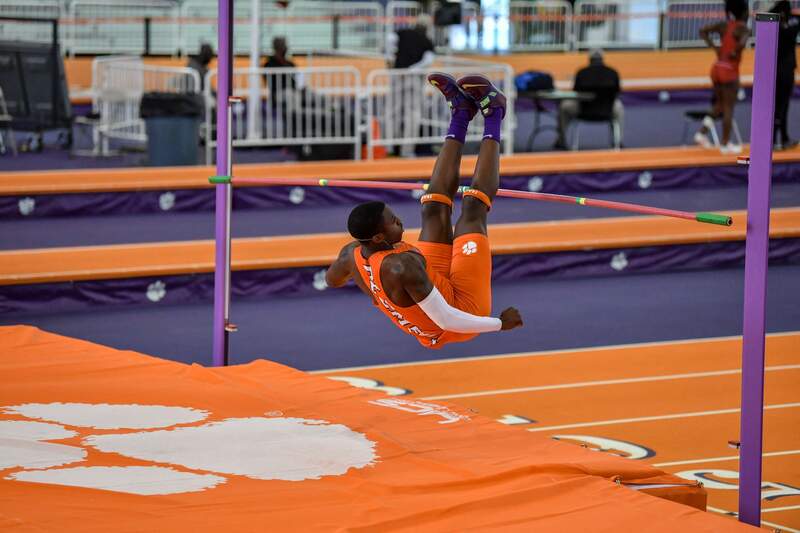 The Charlotte, North Carolina native cleared a best height of 1.75m (5-8.75). 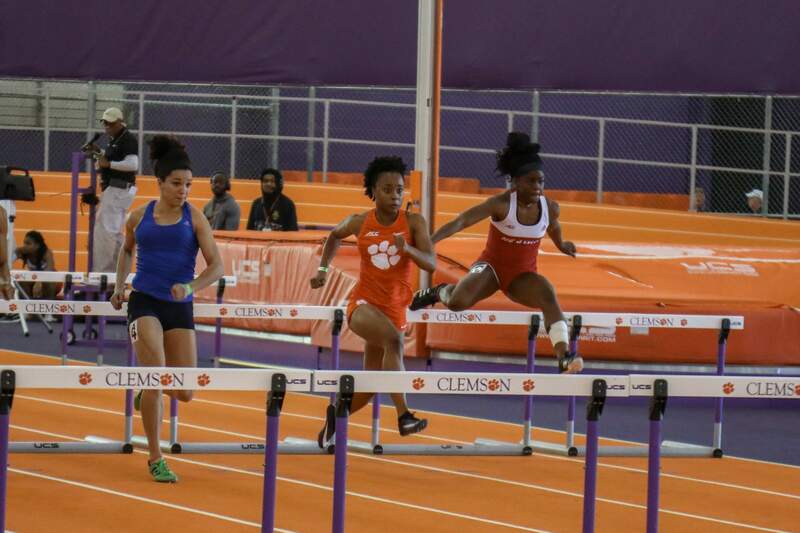 In just her second meet as a Tiger sophomore Janell Fullerton moved to No. 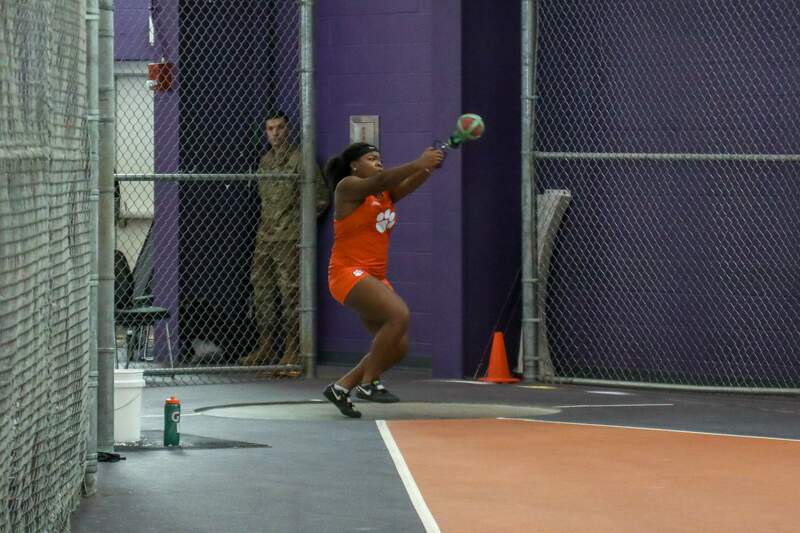 4 all-time in Clemson history in the shot put. Fullerton registered a best heave of 15.06m (49-5) on her fourth toss of the day to place second overall. 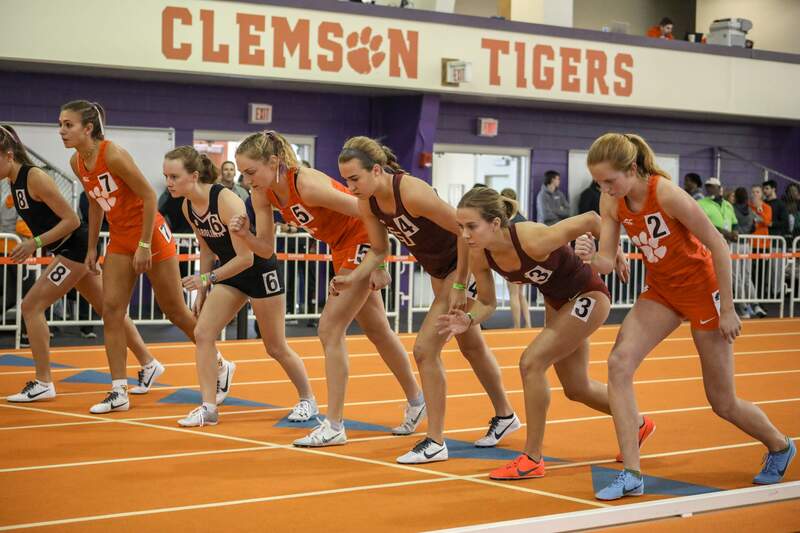 Right behind Fullerton was freshman Veronica Fraley, who also etched her name into the Clemson record book. The Raleigh, North Carolina native posted the program’s No. 10 mark with a distance of 14.16m (47-8), which was good for sixth-place overall. 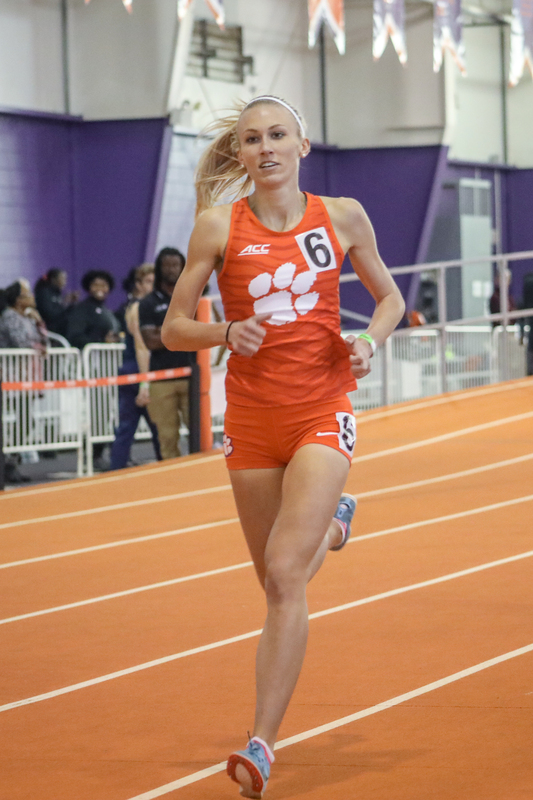 Making her 2019 indoor debut and first appearance since the 2018 NCAA Cross Country Championships was Logan Morris in the 1000m. 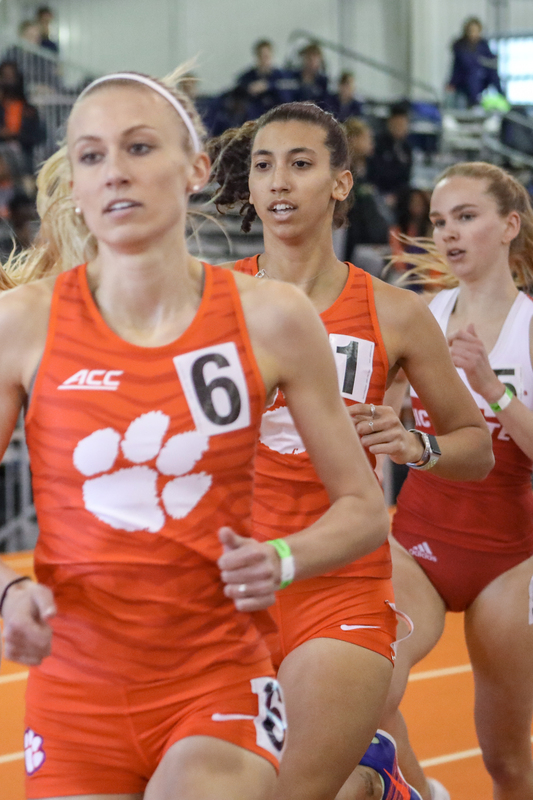 In her first-ever career 1000m, Morris placed fourth overall with a time of 2:55.91, less than two seconds away from catching the first-place finisher. Newcomer Fabian Hewitt turned in the program’s No. 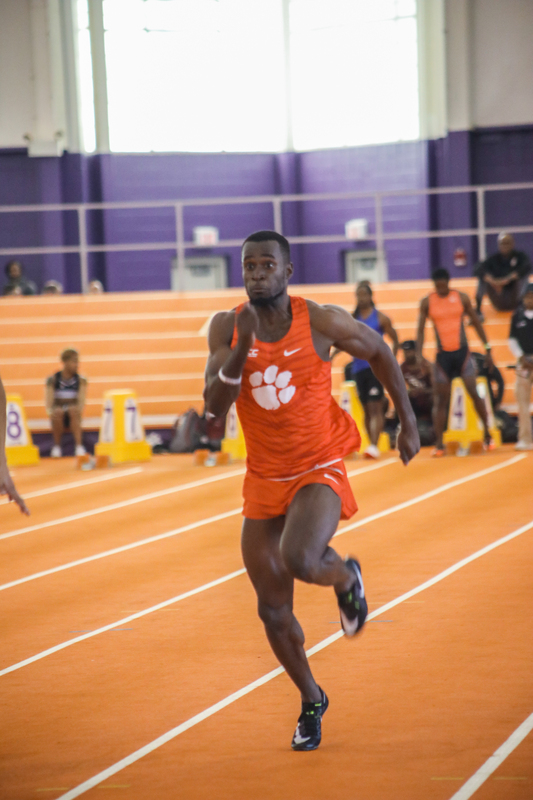 4 time in the 300m dash … Hewitt, a sophomore, placed second overall with a time of 33.78 seconds … He also ran a previous team-leading time of 34.30 at the Clemson Opener on Dec. 8, 2018. Behind Hewitt in the 300m dash were Deonte Tolbert (33.98) and Alex Sands (34.34), who placed third and fourth, respectively. 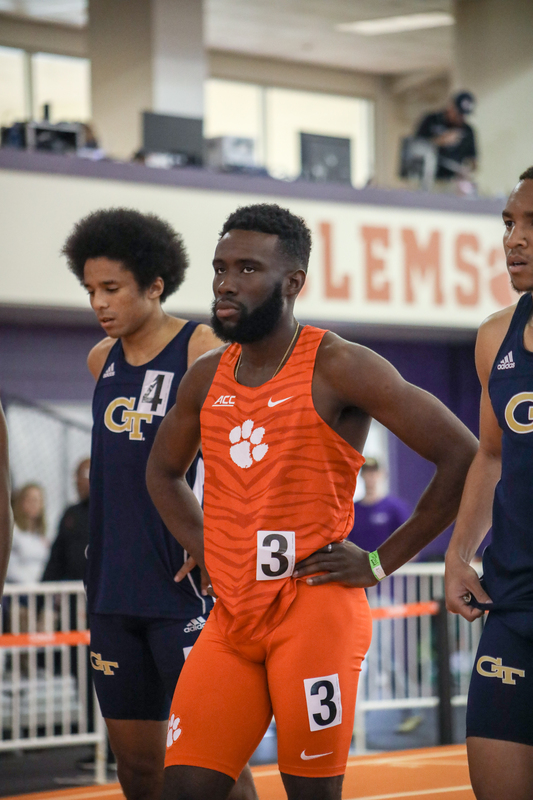 John Lewis narrowly missed his program and facility record (2:21.96) in the 1000m, which he set in 2018 … The senior turned in a time of 2:22.63 to place second Friday. 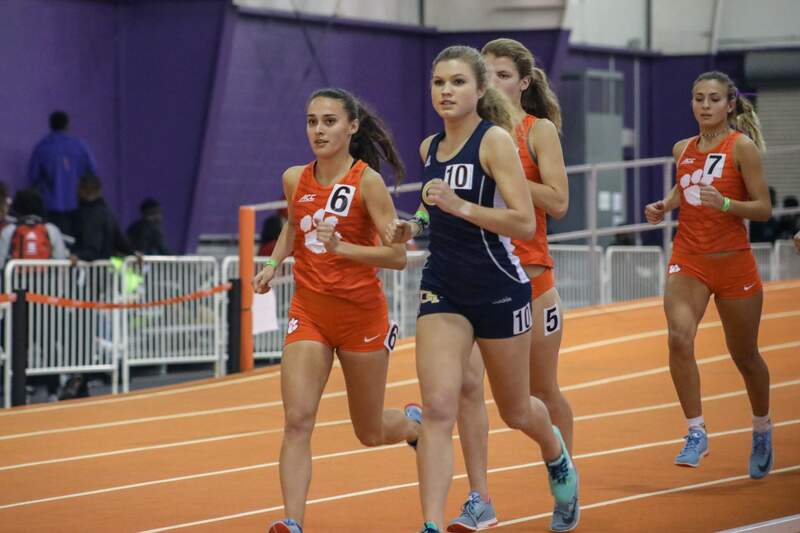 Logan Morris (2:55.91) and Kamryn McIntosh (2:56.60) ran their first career 1000m … The duo placed fourth and fifth, respectively. 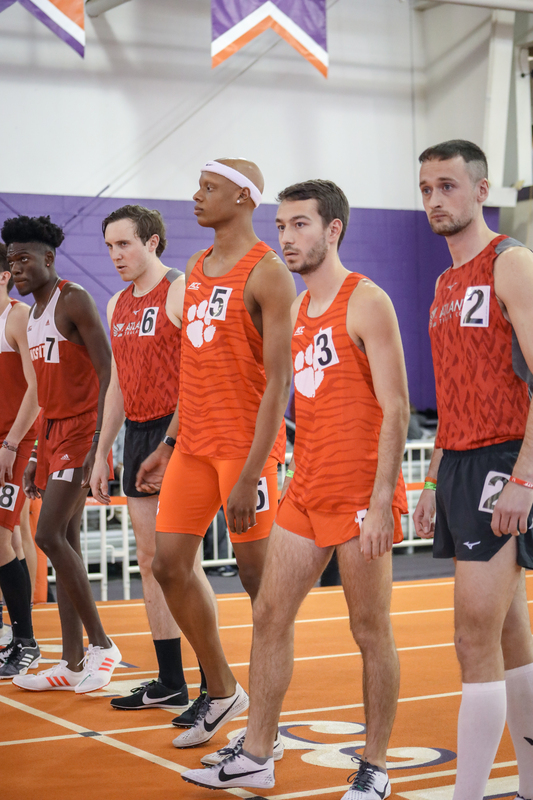 Jacob Slann (4:14.57), John Ward (4:17.85) and Jackson Goodwin (4:19.03) went 2-4 in the mile … All three PR’d with Ward appearing in his first-ever indoor mile. 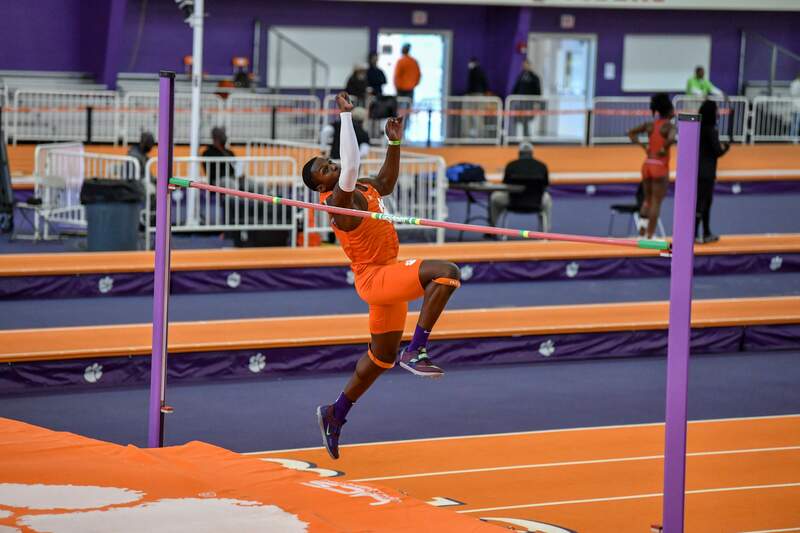 In his first-ever Division I meet, LaFranz Campbell posted a solid 7.85 in the men’s 60mH final … Campbell placed third overall. 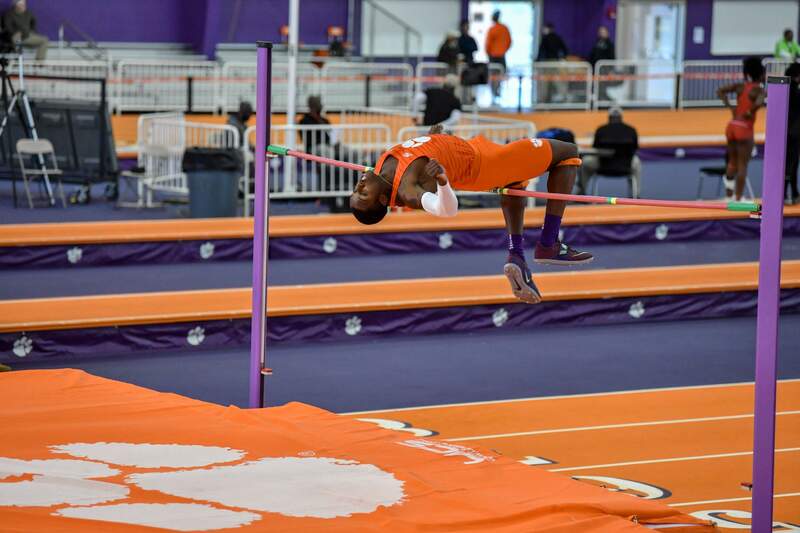 Anthony Hamilton collected his first high jump victory in a Clemson uniform … The sophomore tied his PR of 2.01m (6-7) on his first jump at that height and second leap of the day. 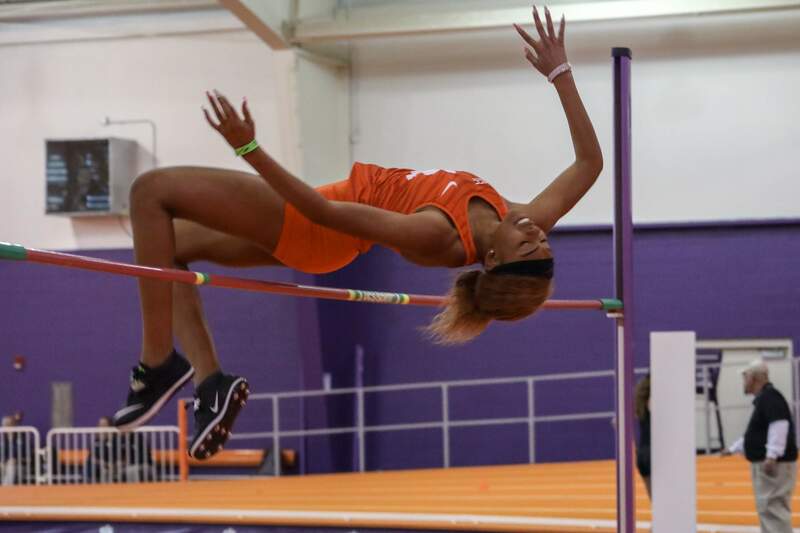 Kenya Livingston won in her first high jump appearance with a best leap of 1.75m (5-8.75) … Livingston successfully cleared the bar on her first attempts at 1.65m, 1.70m and on her second attempt at 1.75m. Janell Fullerton moved to No. 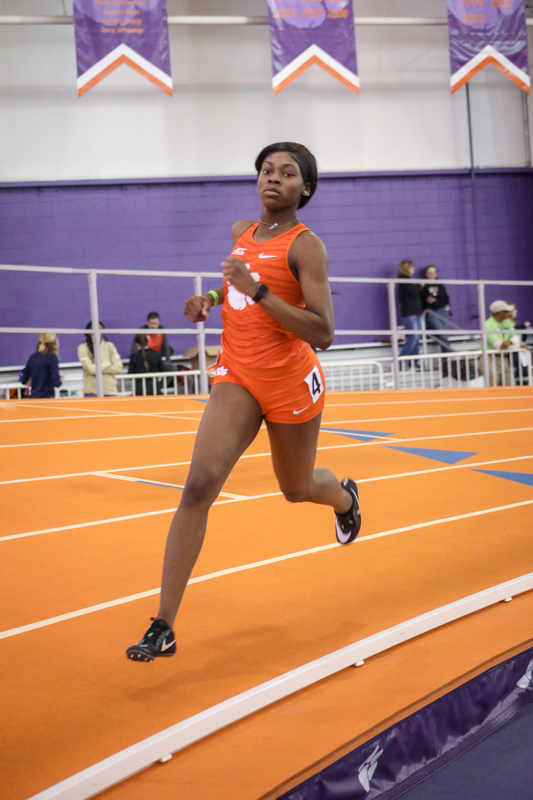 4 all-time in Clemson history in the shot put in just her second meet as a Tiger … Fullerton, a sophomore, registered a best heave of 15.06m (49-5) on her fourth toss to place second overall. 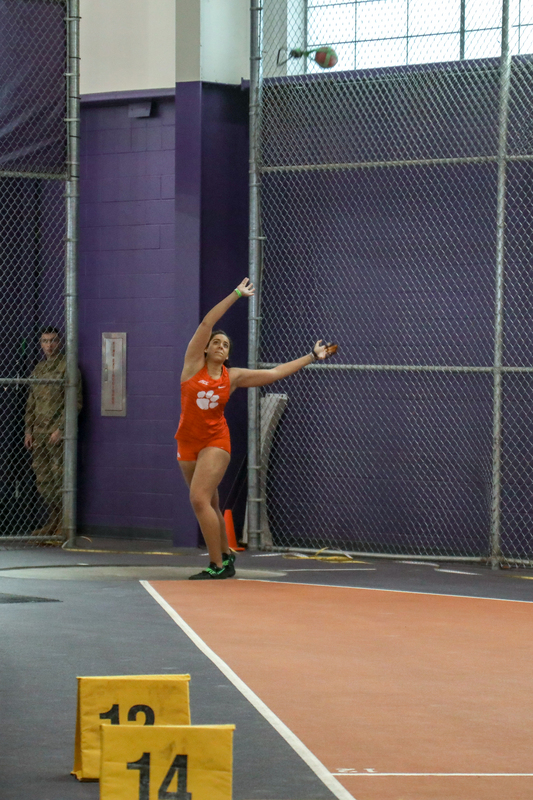 Freshman Veronica Fraley also etched her name into the Clemson record book with a top-10 throw in the shot put … Fraley posted the program’s No. 10 throw with a distance of 14.16m (47-8). Joe Cline remained at No. 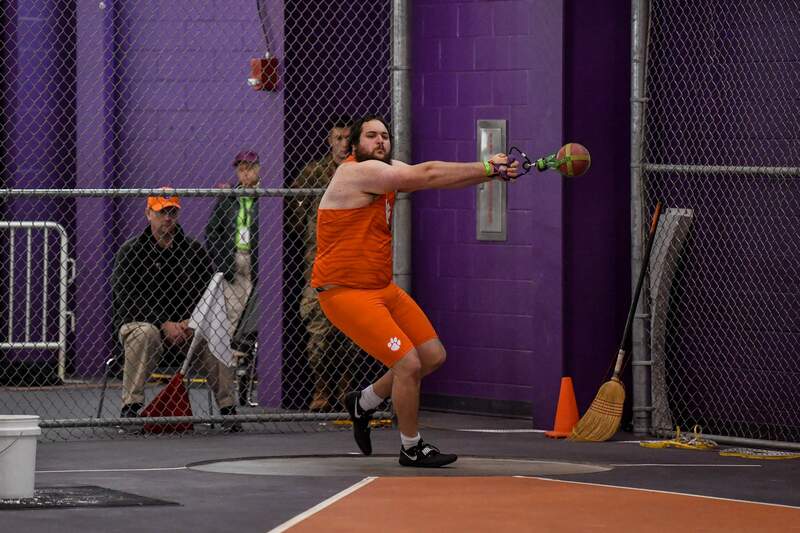 8 all-time in the men’s weight throw … Cline threw 17.99m (59-0) Friday, achieving a PR in his second straight meet … The junior originally cracked Clemson’s top-10 list with a heave of 17.86m (58-7.25) at this season’s Clemson Opener. 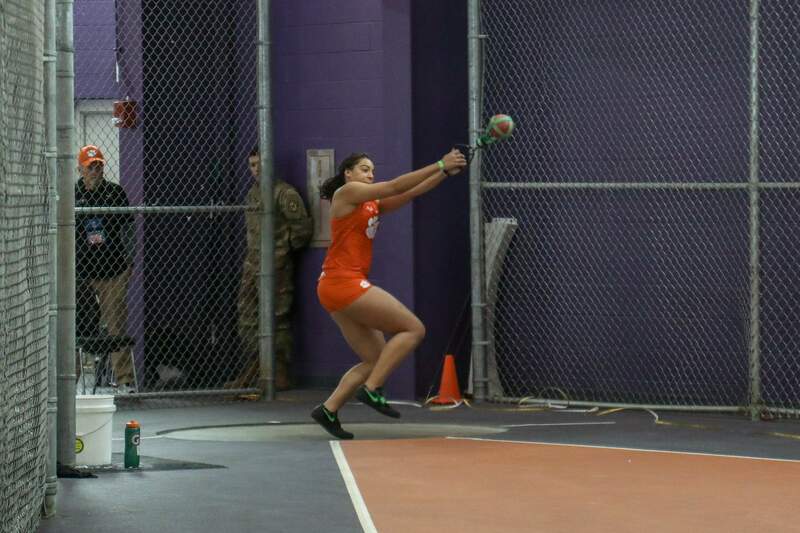 Danielle Little placed third in the women’s weight throw with a best throw of 17.26m (56-7) … Little remains at No. 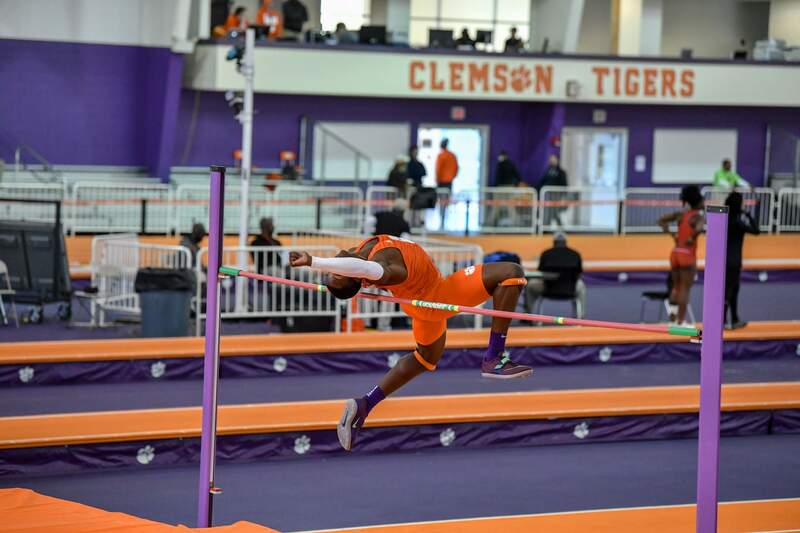 8 all-time after PRing last meet (17.56m).